Lyon County is nestled in the Flint Hills region of eastern Kansas 100 miles southwest of Kansas City. The county seat, Emporia, lies between the Neosho and Cottonwood Rivers. Lyon County was originally known as Breckenridge County. With the secession of the South, however, the residents of the county changed the name to Lyon in honor of Nathaniel Lyon, the first Union General killed in the War Between the States. 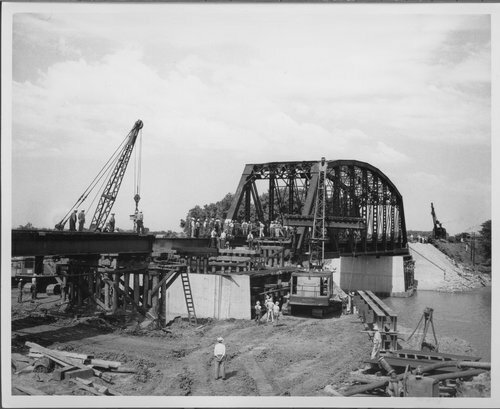 The late Walter M. Anderson, an area historian and photographer, documented the early days of the county, and how Emporia became the county seat. The following is an explanation Mr. Anderson compiled regarding those early days of the county. Breckenridge County was organized in 1855. For a time, the new county was attached to Madison County for “Civil/Criminal and Military Purposes.” Columbia was designated as the county seat, but no county business was transacted. With the election in the autumn of 1858, Americus was voted to become the county seat. 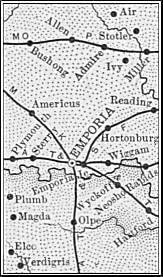 The south county line of Breckenridge was originally located at Logan Avenue in Emporia. 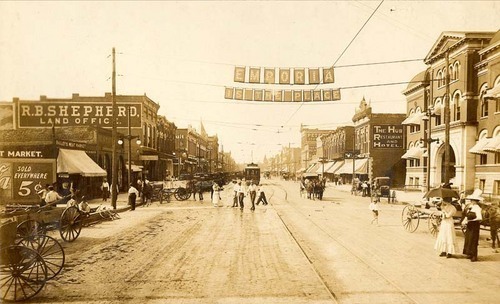 Emporia, with aspirations to become the county seat, secured the southern county line three miles north of the town of Madison. Thus, Emporia became nearer the geographical center of the county. In the year of 1860, it was voted and Emporia carried 155 votes over Americus, to become the new county seat of Breckenridge County. The stone courthouse of Breckenridge County, located on the northwest corner of Third Avenue (the Santa Fe tracks) and Commercial Street, was built in the year of 1866 at a cost of $19,795.00. The plans for the courthouse were furnished by John Hammond. The contract for the building went to Dr. Thomas Armor and Perry B. Mazson. Peter B. Hughes and Richard Howl did the stonework. George Plumb burned the lime that was used for the mortar in the construction of the building. The stone courthouse was used until about 1902 when a new courthouse was erected on the northeast corner of Fourth Avenue and Commercial Street.